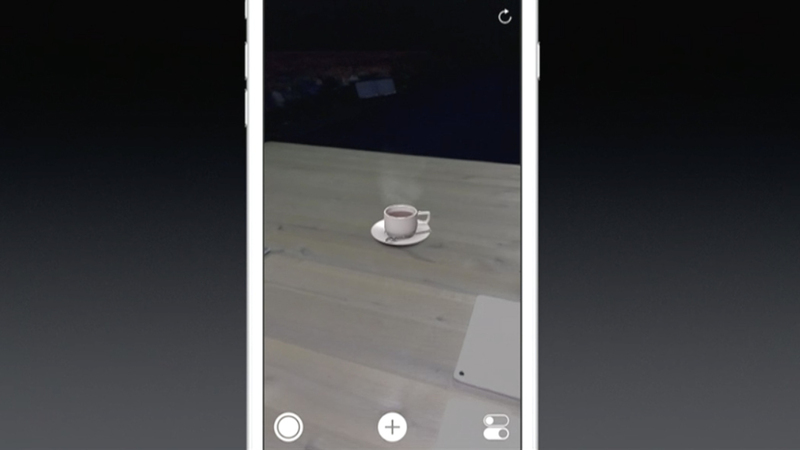 Apple announced at WWDC that it is offering a new development tool called ARKit that will let developers create AR experience for the iPhone or iPad. The technology uses the phone’s sensors to detect things like depth of field, ambient light, and motion sensors. This information is needed to place digital items within the scene in a natural-looking way. In one demo, a Wingnut AR used ARKit to lay out an entire imaginary world on top of a real-world platform on the stage here at WWDC. In that world, a war was going on. One poor fellow fell completely off the world (off the platform).